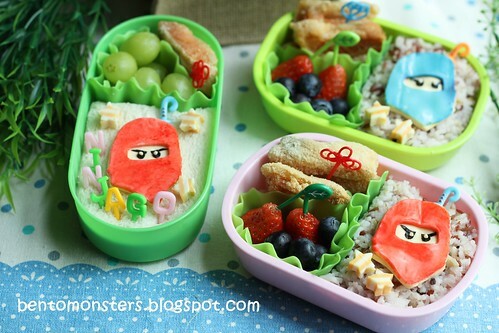 Bento for LT, in the box are rice, fried salmon belly, strawberries and blueberries. 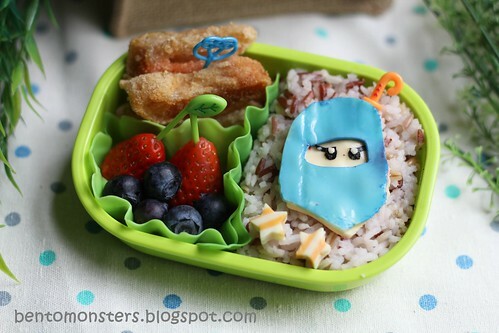 Bento for IT, same food as above. 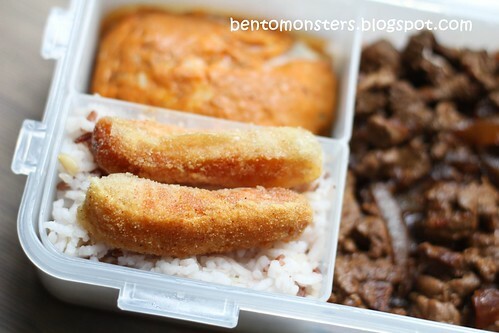 Bento for IT, in the box are nutella bread, fried salmon belly and grapes. The ninjas, in the colors the boys want. My lunch, rice with indonesian style pork, steam otah and fried salmon belly. Hi. My son is crazy over the Lego ninjago as well. 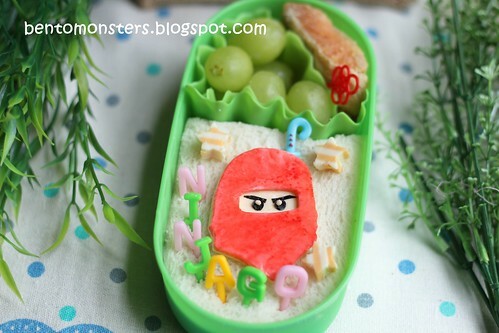 I'm cracking my brains on how to make one for his bento recently. 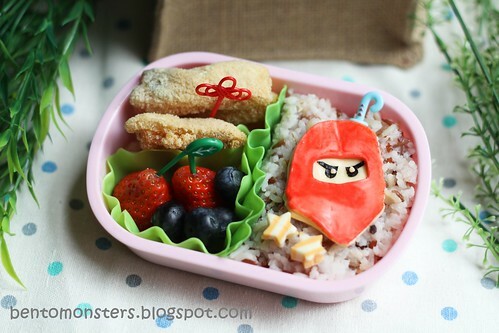 May I ask you for advice on how did you make the red ninja, Kai? What did you use? Thanks. I used cheese and sprayed on Wilton red mist. Alternatively, you can rub on red food colouring as well.